Now I understand! The King and Queen are throwing a summer festival and you want an outfit that you can wear so that you stand out from the crowd. At first I was confused because you came into my shop asking me if I have Renaissance Faire Costumes when you are already wearing that! I wanted to know why you were looking for Renaissance costumes when you could just wear your normal Renaissance clothes. But now I see where you are coming from: You want something special. Very special. Don’t you worry your pretty little head, I’ll take care of you! Well if you want Renaissance Faire Costumes that stand out from the normal rabble, then perhaps you should looking into one of my Renaissance Dresses. These dresses are spun from the finest wool, cotton, and silk in the kingdom. You’re also getting them for a steal in comparison to what I had to pay in order to get these materials. You’re lucky I like you! 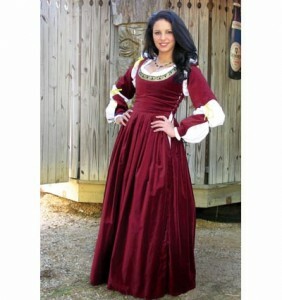 There are all types of dresses to wear as Renaissance Faire costumes, such as our gorgeous German Renaissance Gown, fabulous Florentine Renaissance Gown, and voguish Viking Queen Gown. What’s that now, dearie? You have a Princess friend who actually wants to wear something not so refined? I don’t believe you. What Princess would want to wear Wench Clothing when she could wear one of my majestic gowns? Well, I suppose if you came in here looking for Renaissance faire costumes it isn’t that much of a tall tale. Alright, well in this section of my shop, we have complete sets, bodices, corsets, Medieval skirts, Renaissance chemises, farthingales, and bumrolls. Whatever your friend needs to look the part she likes best. So whatever type of Renaissance Faire Costumes you need, you’ll be able to find them in my shop. They are also guaranteed to make you stand out from the normal peasantry. If people like what they see, make sure you refer the back to PearsonsRenaissanceShoppe.com. Thank you dear, much appreciated. Have fun at your festival! When two people fall in love, it’s a beautiful thing – and you’ll want a wedding that reflects that. The purpose of the wedding ceremony is to put your love on display, and, as often happens with geeky people, their shared interests are often one of the most important pieces of the relationship. Transport your guests to a fairy tale world with medieval attire and décor. An outdoor setting is a perfect one for a medieval style wedding. Decorate with a floral archway, with rustic wooden benches for the guests. For an added touch, replace the traditional organ music with a lute, or other traditional medieval instruments. If an indoor setting is more your style or you are marrying in the colder months, a Gothic cathedral with dramatic stained glass windows makes for the perfect medieval wedding venue. The bride will look stunning in a medieval style wedding dress from Pearson’s Renaissance Shoppe. And for her dashing prince charming, there are plenty of wedding-worthy garments to choose from as well. Be sure to make sure your bridal party and minister are outfitted appropriately as well – and see if you can get your friends and family to play along as well! The décor is the most important way to immerse your guests in the medieval wedding experience. Have the reception at an outdoor pavilion, or find a venue that resembles a mead hall. Serve wine in medieval style goblets, and feast all night long! As an added touch, hire a live band to play traditional medieval music for your guests to dance to. 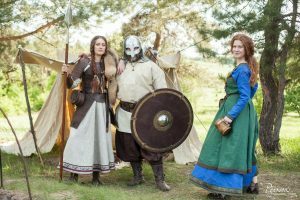 A medieval style wedding is the perfect event for a geeky couple looking to tie the knot – a truly romantic and entertaining experience for everyone involved! Pearson’sRenaissanceShoppe.com explains and reminds you all about the European history in the middle ages of 500 to 1500 AD and anything that is old or too old that is still accepted in the society till date. It contains medieval costumes and renaissance clothing that are still adored by many people today. The clothing are unique and designed in different ways. Our main aim is to help you create a feeling that will take you back and remember your history in aid of maintaining and commemorating your renaissance era as compared to now. We have medieval dresses for women and children fit for different occasions, including; dancing, wedding, special visits to the renaissance in commemoration of the European history and even come together wear. During the renaissance period, people were divided according to classes and there were the nobility that is people of a high class and the poor, low class. The clothing and costumes for these two different classes were designed to look different in order to differentiate the two classes. We consider style when designing our renaissance clothing and medieval clothing based on these classes that existed among the European leaders and people. Modern people today, feel uncomfortable wearing the renaissance costumes, and our work is to make the costumes better but still to resemble the formal one. The women’s medieval clothing come in all styles including the types of costume the princess of the country of Europe used to wear. Women buy this in remembrance of this renaissance period. Women’s clothes include medieval skirts, renaissance dresses, waist cinchers and under-bust corset sets, medieval wedding dresses, special order and custom made dresses among the many other types of medieval clothing a woman would love. 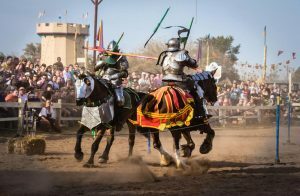 Same to the men’s medieval clothing, this site has types of different clothes men need to wear for different occasions, including; Tunics and Gambesons, Doublets, Jerkins and Vests, Men’s Renaissance shirts, Pants, breeches and kilts, coats, tabards and brigadines among many others that men can wear. Pearsons Renaissance Shoppe also has all types of capes that reminds one of the Renaissance Era. The hooded medieval cloak adds some personality and brings in some kind of mystery to the other outfit you have, be it the gown or the costume you bought. Hooded cloaks for ladies are also available. This site provide you a stop by opportunity to have a look at our beautiful renaissance costumes and medieval clothing of all kinds. Be it you need renaissance boots for an event, they are available. Men, women and children’s renaissance clothing are assured of getting well-dressed from the head to the bottom. One should keep in mind that our renaissance costumes and medieval clothing are original and are just designed the same as those of our queens and kings back in the years. Some costumes have been slightly designed different from the formal ones since some people do not feel comfortable wearing the originally designed ones. 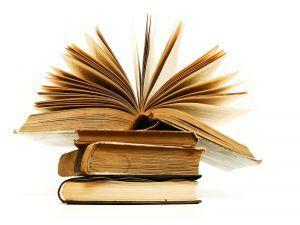 Now you know and you are now well conversant with what we offer. In case you would love to acquire one, please visit our shop or go to our website to purchase one at a cheap, affordable price. Have you seen the fabulous sale items at Pearson’s Renaissance Shoppe? This is a great chance to save on clearance, discontinued, and overstocked items! All items listed are NEW and NEVER worn. This sale is good for the quantities, colors, and sizes listed on the site and only while supplies last so hurry to get your Renaissance deals today! One of the great options on sale right now from Pearson’s Renaissance Shoppe is our elegant Queen Elizabeth Nobility Dress. Inspired by Renaissance Nobility style this one-piece dress closes with laces at the back and is boned to get that perfect silhouette. It sports graceful long hanging arms and is decorated with crystal and feathers. We recommend a hoop skirt for beneath your skirts to achieve the perfect profile. If you are looking for something versatile to get the most out of your Ren Wear try Pearson’s Renaissance Shoppe’s stylish Ren Doublet. This doublet is reversible, made of velveteen with a black twill backing so you can be the dashing nobleman or, with a simple flip of your doublet, a common peasant. Currently available in red or burgundy. Take advantage of the great price on our Lady of Leeds Gown before they’re gone! This elegant full length gown features drop sleeves with a front split, lined with gold brocade fabric. This gown features an accented square neckline and elbows. Lacing up the back is provided to achieve your shapeliest fit! Pearson’s Renaissance Shoppe currently has several great separates on clearance! Our Charles Vane Pirate Shirt is made of thick rich Viscose fabric with a double ruffle down the chest and wrists fit for any dashing pirate. Our Dagget Sleeve Chemise tops come in several different colors. They’re baggy and versatile to be gathered and worn beneath a bodice, corset, or a waist cincher. They can be worn on or off the shoulders, fitting be ye a sassy wench or fine noble Lady. Our fashionable Maiden Skirts are made of 100% lightweight muslin cotton and are fully lined. These beauties are soft, breathable, and slightly transparent for any fine miss to shine with elegance. Pearson’s Period Cotton Shirts feature a stand up collar with a lace up front. Wide sleeves with an elastic gather at the wrists are roomy for any ample hunter needing room to pull his bow strings taught. Get all of these fabulous treasures and more at Pearson’s Renaissance Shoppe Sales & Specials! Are you looking to expand your Renaissance wardrobe? Here at Pearson’s Renaissance Shoppe we have all the high quality Renaissance clothing, jewelry, and footwear to meet all your needs! We even have Renaissance clothing for little Ren fans. Shop Pearson’s Renaissance Shoppe Sales & Specials today! It’s that time of year again where there is a nip in the air. The sparkling white snow is creating a chilly blanket across the fair land. Far and wide the people are donning their woolen coats, hooded capes, fine over gowns, and hooded cloaks. Are you in search of some fine winter garb? Pearson’s Renaissance Shoppe has exactly what you need! Have you seen Pearson’s Queen of Shemakhan Wool Coat? With details of Asian Manchoo Costume along with elements of the Balkanian style this is definitely an elegant choice for any authentic LARPer. This is a slim fit coat made of high quality natural wool with a black satin lining. The hood boasts a black faux fur boarder. Intricate ribbon trim accents this winter wonder. Accessories that come with this beautiful floor length coat are a fur trimmed hat, a fur muff, and a matching wool bag. Another fabulous option is our Templar Hooded Cape. Whether you are a fine Lord or Knight of the Realm this is the option for you! Made of white cotton with a velvet cross stitched over the left arm. The front is secured with a decorative rondel leather frog with a snap closure. It is 52 inches long and matches our Templar tunic. It also sports a hood to complete the look. Are you interested in looking royal? Try our Anne Boleyn Overgown, designed for the Anne Boleyn character in the award winning series “The Tudors.” As the second and most famous wife of King Henry VIII this gown is fit for any Queen. A open outer robe made of heavyweight cotton and richly adorned with faux fur with openings at the elbows instead of sleeves for your arms. You’re sure to keep warm in this cuddly overgown on any cold winter day. Here at Pearson’s Renaissance Shoppe we have cloaks for every need; from cotton, velvet, twill, wool, leather lined, and fur trimmed we have the hooded cloak that’s right for you. Our Medieval Wool Cloak is a great accessory for just about any attire. Made of heavy natural green wool with a handmade wool border, this warm cloak has no machine stitching at all and is a great authentic option. Are you looking for a warm winter option to complete your Medieval Costume? Be sure to check out Pearson’s Renaissance Shoppe’s great selection of Hooded Capes and Cloaks today! Pearson’s has a wide variety of medieval crowns from King Richards Crown to the Crown of Elrond, the White Queen’s Crown, to the embellished Residing Power Crown. Whether you are a Royal King of England, Dazzling Queen of the realm, or the Elven King of a faraway land Pearson’s Renaissance Shoppe has the right medieval crown for you! Pearson’s also carries many tiaras and circlets from simple and elegant to finely embellished to match any maidens dreams! Considering the necklines of the times the best renaissance jewelry you can get to display your status is a necklace! Pearson’s Renaissance Shoppe carries necklaces for everyone. The swashbuckling pirate wouldn’t be complete without our beautiful Pirate Pendant that hosts a hidden blade. Our medieval pear shaped necklace with matching earrings would be perfect for the glamorous Queen. The modest maiden would have a touch of elegance with our Autumn in Red Choker. Let’s not forget the elegant elven damsel who wouldn’t be complete without an Elven Leaf necklace and earring set. Pearson’s Renaissance Shoppe has a wide selection of medieval earrings and bracelets for every occasion and style. We even carry elegant armbands, ear hooks, and ear cuffs. If you’re looking for the perfect renaissance jewelry accessory you need look no further than Pearson’s! Do you love Lord of the Rings? 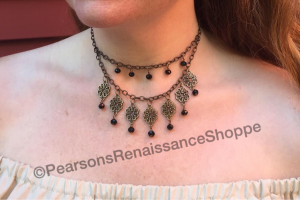 Pearson’s Renaissance Shoppe has the perfect medieval jewelryfor you! Our exquisite circlets and headpieces are handcrafted with care! We only use Lobster claw clasps that don’t tangle or pull your hair. Here at Pearson’s we never use acrylic or plastic, only REAL crystals and gemstones! We never substitute a cheap inferior product with all the beautiful cut crystals, gemstones and other beads available. Only the best we are able to obtain will do for these stunning one of a kind creations! No matter what event you attend these authentic looking circlets and headpieces will be the shimmering finish to your garb! Last but not least Pearson’s Renaissance Shoppe boasts a wide selection of adornment for a man of any stature be he knight, baron, pirate or king. Choose from Crowns of gold, silver, or brass. Are you a Knight of noble standing? Complete your garb with our knightly chain! Swashbuckling pirate or weaver of magic? Try our finely crafted medieval jewelry to adorn your neck! At Pearson’s Renaissance Shoppe you will find the highest quality Renaissance Jewelry. No matter your needs here at Pearson’s we have the perfect renaissance jewelry and accessories to complete any look! Shop Pearson’s Renaissance Shoppe today! If you think about it the tradition of cutting a tree from the forest, or better yet, buying one from the local Walmart, and then dragging it inside to cover in bright lights and small brick-a-brack it is a somewhat strange one. Who was it that decided to bring the outside in for the first time? It was possibly the 16th century German preacher Martin Luther. As the tale goes he was walking through the forest one night before Christmas and looked up to see the stars shimmering through the tree branches. It was so breathtaking a sight that he returned home with a tree to tell his children it reminded him of Jesus, who left the stars of heaven to come to earth at Christmas. He placed small candles on the ends of the branches to resemble the shining stars. During the Renaissance period Christmas was a much more solemn event than it is today. It was a day devoted to reflection and prayer, celebrated with a special mass called the “Cristes Maesee” or “The Mass of Christ.” The biggest celebration of the season was actually celebrated on what was called Twelfth Night. It was the night before Epiphany, twelve days after Christmas, when the three Wise Men found the newborn Christ child and presented him with gifts. The tradition of exchanging gifts at Christmas is believed to be a continuance of the gifts bestowed upon baby Jesus on the night of his birth. The Twelve Days of Christmas begin the evening of December 24th and last until Epiphany, January 6th. During the Renaissance period the official end of the Christmas holiday season was Twelfth Night and was the traditional day for taking down Christmas decorations. While a Renaissance Christmas was somewhat more somber than the Christmas Christians think of today, there were yule logs and feasts, dancing and singing, and of course the exchanging of gifts. Are you looking for the perfect Renaissance gift to give to that someone special? Here at Pearson’s Renaissance Shoppe we have the perfect high quality Renaissance attire to bring some of that old world magic into your holiday season! When we think of corsets we think of the tight, pinching, poking, waist binding garments that we read about in historical romance novels. A garment any forward thinking modern woman would not wear. The truth is, however, that starting in the 16th century when they became popular, corsets were made for the person that was to wear them and them alone. At least up until the Victorian era when “mail order” corsets were created. Pinching was impossible and if they poked it meant that the boning had come loose from the corset. In the beginning corsets were not made to give you a small waist; the fabric would have given out if you had tried to tighten them enough to narrow your figure. They were designed to lift the breasts and create a smooth silhouette beneath clothing. Not until the mid to late 1800s when the metal grommet (1828) and the 2 part metal busk (1829) were created tightening a corset enough to drastically change a person’s figure was practically impossible. As romance novels lead us to believe a heroine could go without her corset and her gowns will still fit perfectly and one wouldn’t notice her corset was missing until she was touched. The truth is that her gown would not fall correctly. It would even possibly be lumpy in places and, as with forgoing wearing a bra, her breasts would not be held up and would bounce with movement. While being so uncomfortable as to lack the ability to breathe is untrue, it is a fact that you are unable to take deep breaths while wearing a corset. It is also true that a tightly tied corset can cause weals on the skin, just as a sock might around your ankle. If there was a weight gain or loss the corset would no longer fit properly and cause rubbing or the breasts to slip down in the corset which would be quite uncomfortable. If the corset has shoulder straps the arm movements would be somewhat limited; while our dear heroine would be able to fold her arms across her chest she would be unable to do so tightly. If she is wearing a busk she would be able to bend at the hips but not the waist. The strict rules in past times regarding posture are untrue although the corset does demand and encourage a straight back. As with most things that go from person to person many things most people believe about corsets are false but they all come from an exaggeration of a truth. When worn properly and with the right fit a corset can be a lovely addition to any Lady or Lord’s Renaissance Garb. Are you looking to add a corset to your medieval wardrobe? Here at Pearson’s Renaissance Shoppe we have all the high quality corsets you could ask for to meet your needs! Be sure to shop Pearson’s Renaissance Shoppe‘s Corset Collection today! Custom sizing and fitting is available to help you look your best!